Superficial people. While there are some who are like that for sometime until they grow out of it, there are some who grow old with it. But it is fair to note that not all people are superficial. I am concerned about myself. Am I superficial? I am definitely not talking about superficiality in my well-intended offers as a friend or a kin or in my encouragements and compliments to anyone, strangers alike. But when I think of the spiteful intentions I harbor while I am angry, is it safe to think I am superficial? When I am consumed with anger, a battle ground between good and evil explodes in my mind. The angry side wants to exact revenge but the positive me fights to put out the flame. As the battle rages, time lapsed ... and often than not, the anger will subsides fortunately. However that's not the end to the spiteful thoughts inside my head. It still lingers! Yet maybe it could be that I am cowardly to go through with my spiteful intentions or it is simply because I am reasonably quick at forgiving. 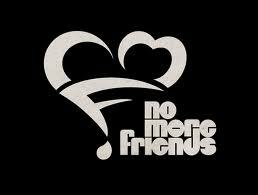 After all the hostility in my heart and in my head, I am still incapable of turning away 'a so-called friend' in need. I guess I'm just a sucker for sob stories. Being a little wiser though, I tread with care in order not to be burned again! Somehow I feel so superficial! Perhaps and thankfully, it must be my subconscious self that has guided me to walk away and move on from the people and situations that no longer have my interest at heart. This way I do not harbor any guilt and I will not feel superficial. Moreover, I am expanded positively to receive greater opportunities.